What accessories are hot for this SPRING? 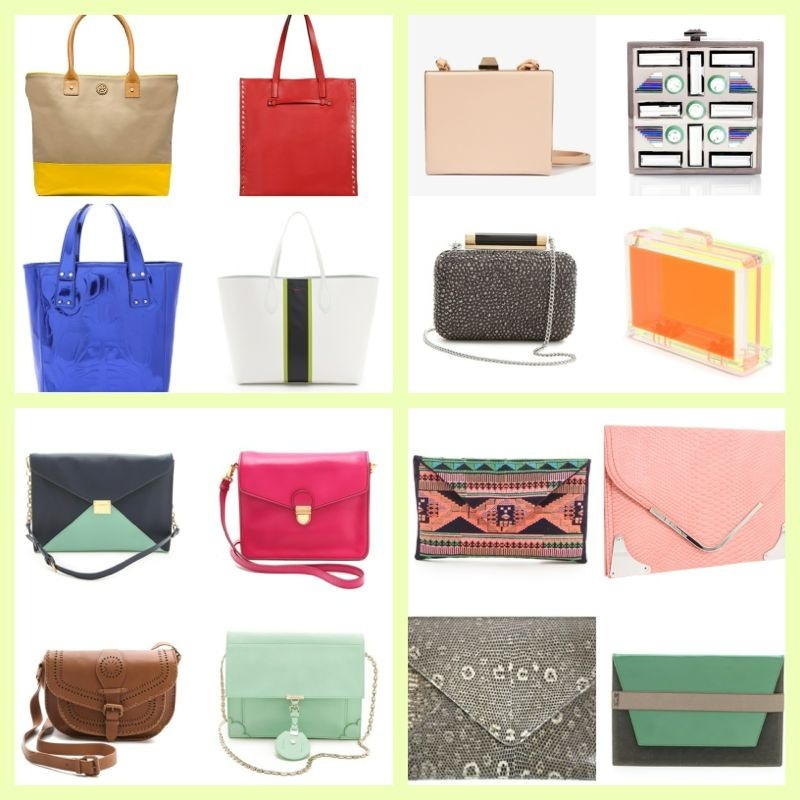 Classic totes, box clutches, shoulder strap bags and envelope bags! Add color to your day fit like Michelle Monaghan with bright coach tote. Ashley Green wearing a simple black box clutch at the Teen Choice Award. Blogger Chiara Ferragni wearing a 3.1 Phillip Lam shoulder strap bag. Jamie Anne Allman with a red Camille Zarsky envelope clutch.